Dr. Agustin Gonzalez-Tuchmann has been working with data intensive software systems for more than 20 years. He started his career in the U.S. at Tandem Computers in Cupertino, CA where he worked as a software engineer in the optimizer team of the SQL/MX database. After that, he worked at several startups and now has been at Intel Corporation since 2005. Agustin interests are data intensive systems, software engineering, and system performance optimization. 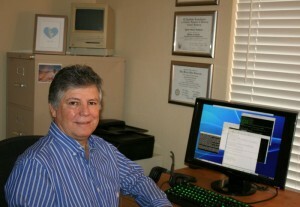 He has several patents and is co-author of the “TPoX ” benchmark for XML databases. He earned a Ph.D. in Computer Science from New Mexico State University, Las Cruces New Mexico; a Ms.Sc. in Computer Science from I.T.E.S.M, Monterrey Mexico; and a B.A. in Physics from U.C. Berkeley.